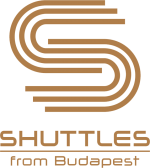 The ShuttlesfromBudapest is the personal transport provider for those who would like to travel comfortable and with style. We organize airport, hotel, port, train station transfers for business or leisure travellers. We also arrange transfers to other destinations in Hungary and from or to abroad countries. We provide non-smoking, air-conditioned cars or minivans and polite, English speaking drivers. All of our prices are guaranteed, with no hidden surcharges. Multiple languages - ShuttlesfromBudapest tours are available in 5 languages. Our wide range of travel activities can satisfy the varied interests of travellers. You can reach us 24 hours a day through our contact number or leave us a message by fax, email and call back.